AncestorPuzzles.com: DNA Testing- Will We Have Unexpected Results? 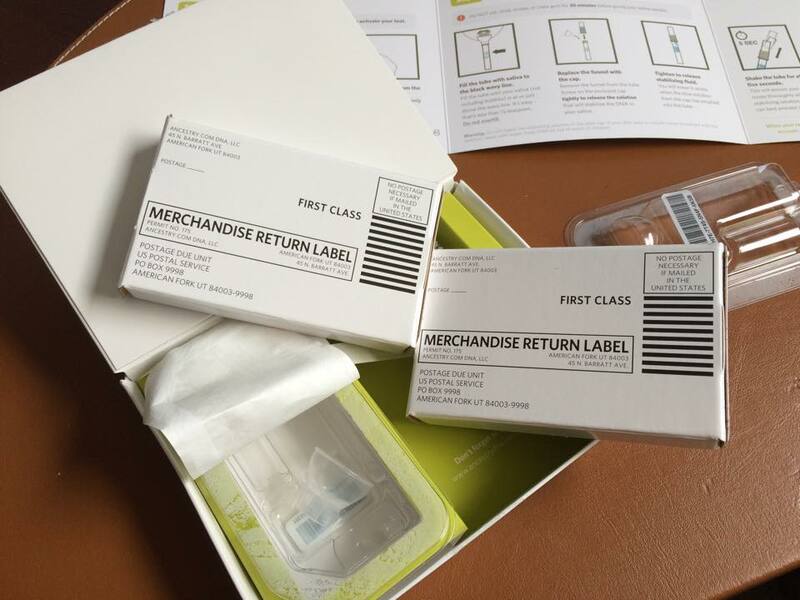 Our DNA kits were completed last week and placed in the U.S. Mail Postage Paid Return Boxes. My wife and I decided to take the DNA Plunge! I expected to get a cheek swab kit but the kits from AncestryDNA were different. You have to spit your saliva into a tube. We sent our kits back to AncestryDNA last week so we have 6-8 weeks to wait for results. My wife is hoping for confirmation of her Native American ancestry. I am looking forward to dozens of cousin matches that will hopefully confirm that we are on the right track on the family tree. We have been reading articles and watching videos to learn more about the process and we found a video from Christa Cowan at Ancestry.com to be very intriguing. Christa Cowan of Ancestry.com explains that many people are getting unexpected results concerning parents, children, siblings and other relatives that they did not know about. 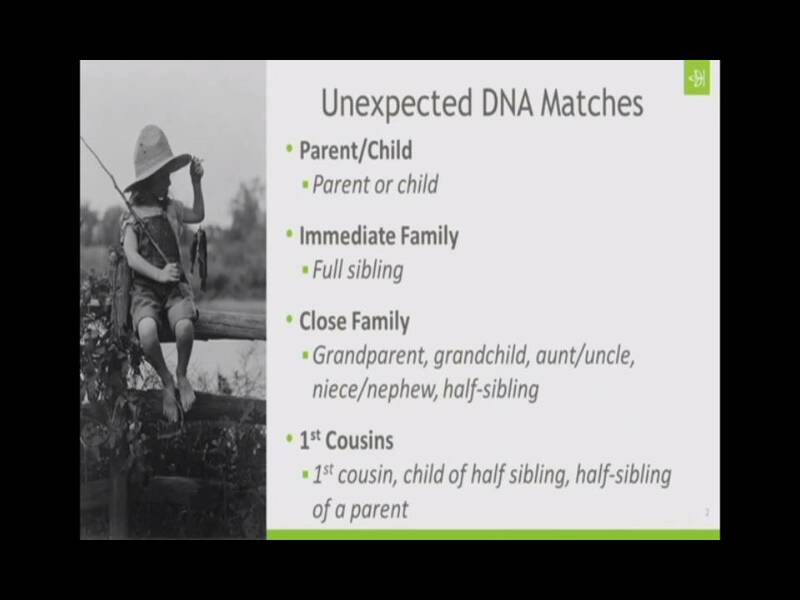 Are you prepared for the unexpected DNA results? Watch the video. I am not expecting any surprises regarding parents, children or close family but we will let you know how that goes! I am looking forward to learning more about how to use this tool for my own family research. I also want to incorporate DNA into my toolbox to assist my clients in reuniting with close family and long lost cousins. 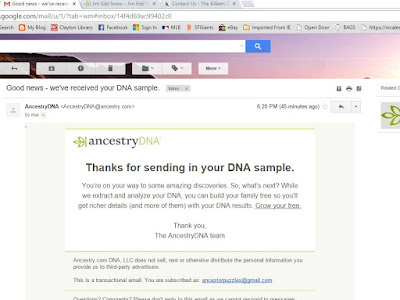 Here is a screenshot of the acknowledgement email from AncestryDNA. Have you had your DNA tested? Tell me about your experience by commenting below or contacting me in the right hand column.